Just when you were expecting to hear more about IE9 on this opening day of Mix ‘11, and today we’ll be talking about the IE10 Platform Preview. IE10 builds on IE9 with support for even more standards like CSS3 gradients, multi-column, and grid layouts. In this video Rob Mauceri walks us through some of the new features of IE10 including an example of flowing of content in multi-column layouts. 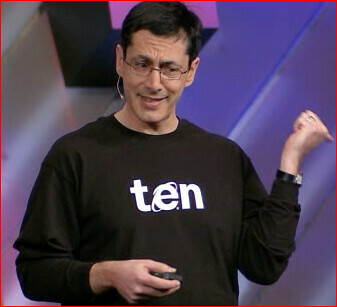 Here is Dean Hachamovitch, corporate vice president in charge of the Internet Explorer team at Microsoft wearing a shirt with the IE 10 logo during the IE keynote ate Mix 11 today. Developers can download the Internet Explorer 10 Platform Preview at http://www.IETestDrive.com and provide direct feedback through new code refreshes approximately every 12 weeks. I wonder if they are going to do a more aggressive release schedule like the Chrome browser. Anything is better than the waiting period between IE6 and IE7, that was insane.